It costs $32.00 per person plus a processing fee of $2.68. If you are under the age of 18, a parent must sign the waiver for you. You must be at least 7 years old to throw an axe and accompanied by an adult and have your parent’s signature. 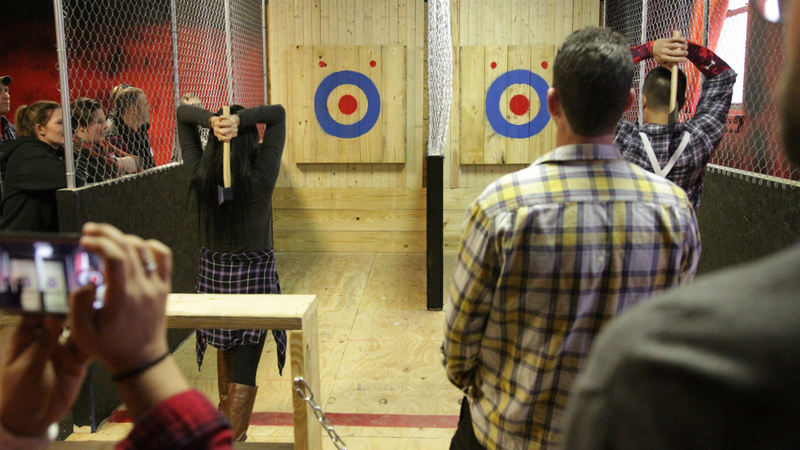 We run our Axe Throwing sessions as if they were live game shows. There are immense amounts of cheering, clapping and adrenaline pumping high fives! 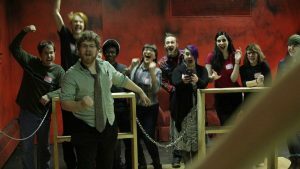 Our shows hold a maximum of 12 people at a time. 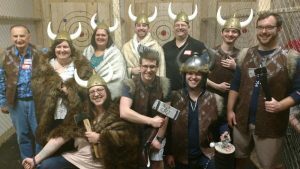 When you book online and book less than 12 people, you will be in a show with other people not in your group (they will become part of your Viking Family in no time!). 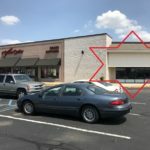 This location holds up to 48 people. 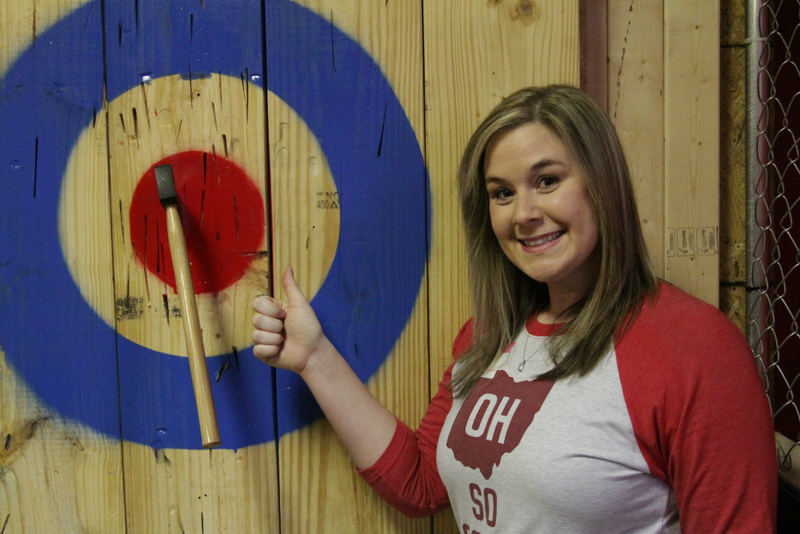 To book a private party call us at (470) 236-2699 or email support@indianapolisaxethrowing.com. Yes, you may bring your own catering. There is NO outside alcohol permitted inside the establishment but for your convenience, our bar is now open. 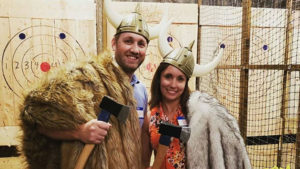 Yes, please call us and we will have a feast ready for your Viking crew! We are across the street from Dave and Busters, next to the Guitar Store. 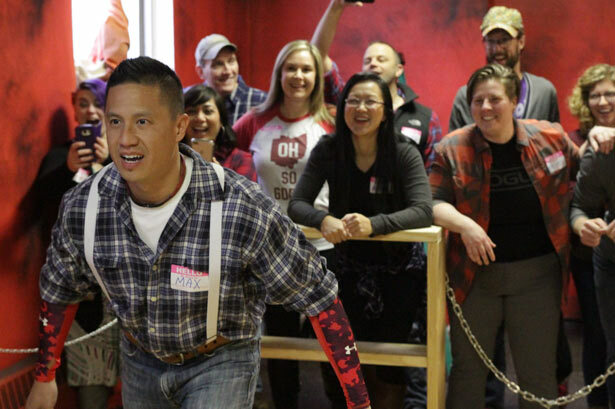 Please arrive 15 minutes early to sign waivers, create a lumber jack viking name tag and lumber up your axe throwing arm!! Just like bowling... but you feel like a Bad Axe!!!! 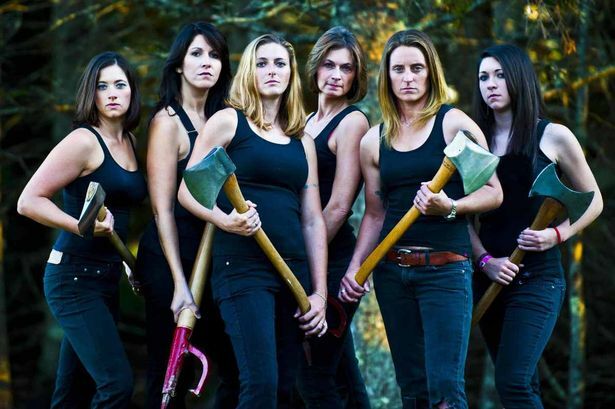 Grap your buds, form a team get ready to chop some wood! Leagues starting soon! 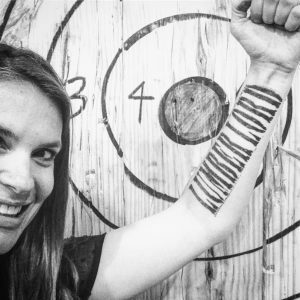 Bucket List Productions, LLC | 8445 Castleton Corner Drive, Indianapolis, IN 46250 | 1-317-516-5121 | Support@Indianapolisaxethrowing.Com ©copyright | 2018 All rights Reserved.